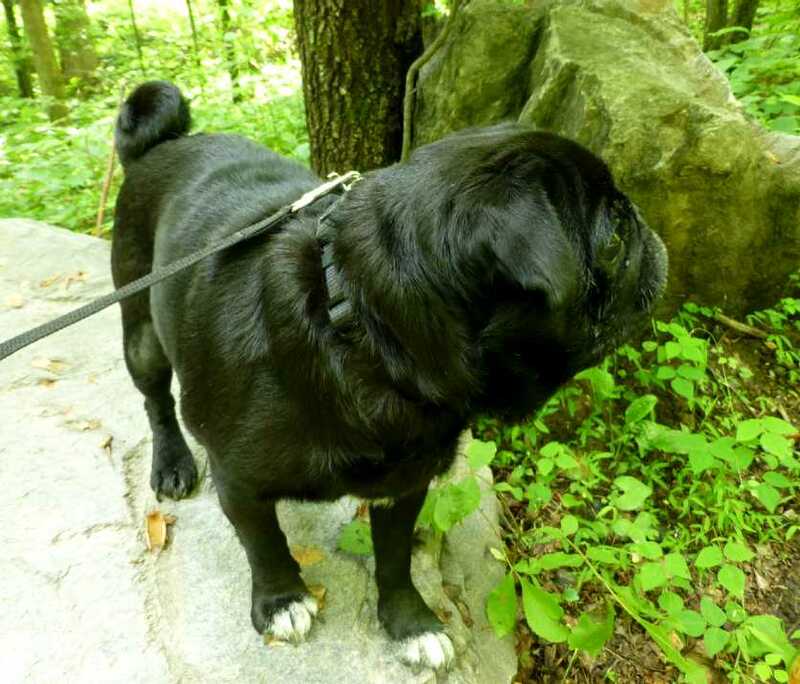 Our innpugs, Csaba and Bugsy, have a new little brother: Rosco! 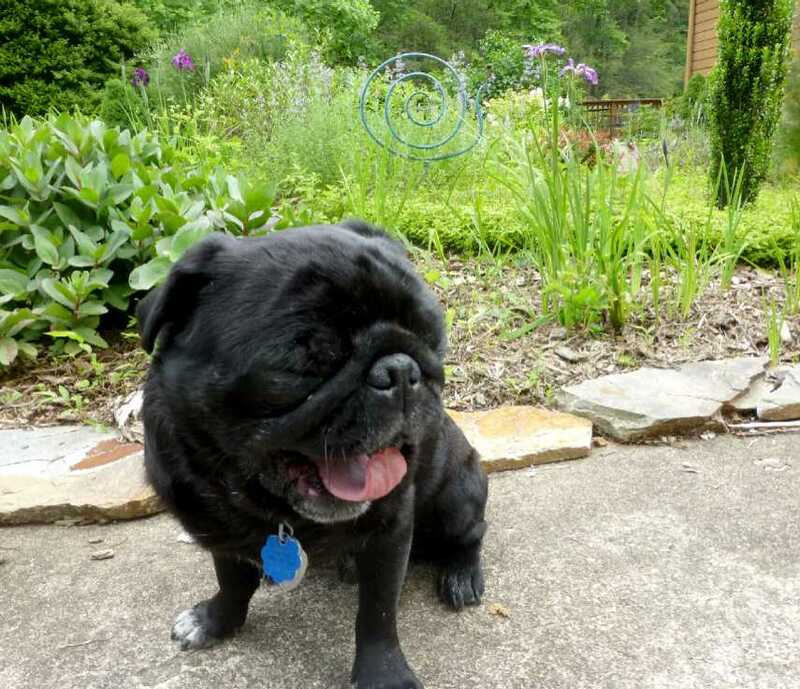 We were fortunate to have the opportunity to adopt this cutie-pie from Southeast Pug Rescue & Adoption (SEPRA), based in Suwanee, Georgia. 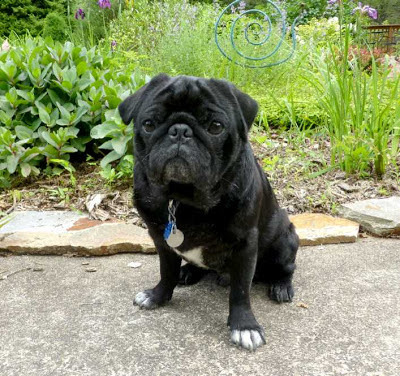 We’re not sure of his life history, but Rosco (formerly Bosco) is five years old and he is the biggest sweetheart. 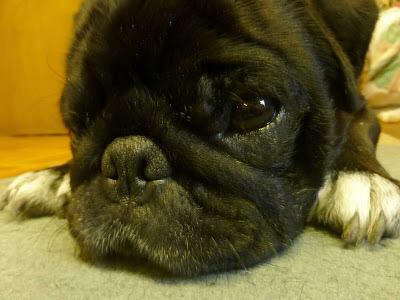 If you’re familiar with our innpug Csaba, Rosco has a very similar laid back, content with the world, loveable attitude. He is visually impaired, but that doesn’t keep him from having a lot of fun exploring our backyard, also known as Pisgah National Forest. I love my new backyard! Are you getting my good side? 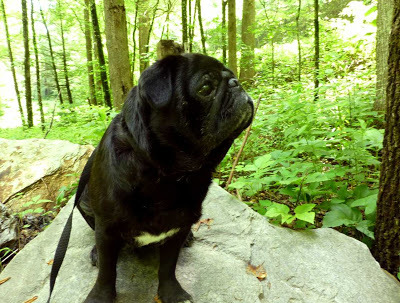 Being a pug, Rosco is, of course, a natural at both of these things. Am I cute or am I cute? Have you taken enough photos of me yet? It’s time for my nap. Guests are already falling in love with him, just like we have. Welcome to the family, Rosco! This entry was posted in Uncategorized and tagged innkeepers and innpugs by Inn on Mill Creek. Bookmark the permalink. The pictures are awesome. I knew you would fall in love with him just as we did. Thanks for giving him a wonderful forever home!